Here is a simplest mango pickle recipe. It tastes finger licking good and stays for one to two months fresh. Try this quick and easy recipe at your own kitchen and don't forget to leaves your valuable feedback's here in the comment box below. Wash the mangoes and wipe them with a kitchen towel to remove any water content. 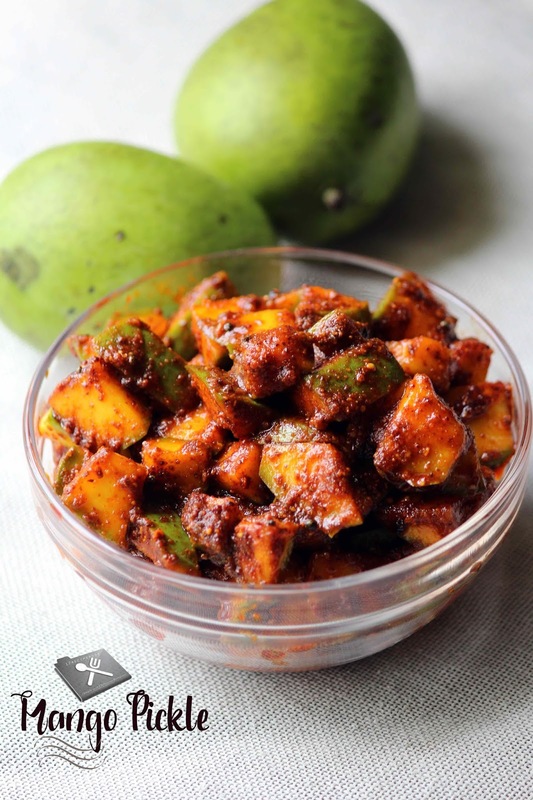 Cut the mangoes in to small cubes on a dry chopping board. Mix the mangoes with 2 tsp of salt and keep it aside. Dry roast 1 tbsp of mustard and 1/4 tsp fenugreek for two minutes and powder it. Heat a pan with mustard oil and add 1/2 tsp mustard and a pinch of fenugreek; crackle it. Add powdered mustard and fenugreek mix. 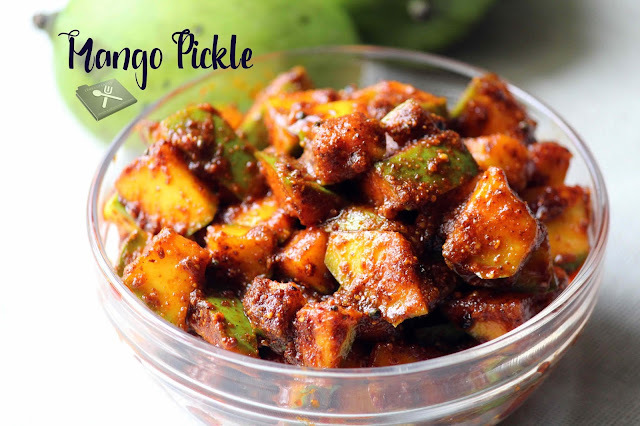 Turn off heat and add salted mango pieces and 2 tbsp of vinegar; mix well. Store in an air-tight container after completely cools down. wow a very nice recipe.